Paper Trail is a human rights charity and social enterprise. Paper Trail is funded by the European Union’s PEACE IV Programme which is managed by the Special EU Programmes Body (SEUPB), and Victims and Survivors Service. As a registered charity, we offer free advocacy and training to victims and survivors of the conflict in the north of Ireland. We also work closely with human rights and victims’ groups that represent families affected by the conflict. Paper Trail is a social enterprise which offers specialised and targeted legacy archive research to the legal profession. 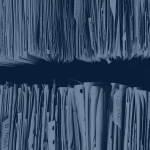 We help ordinary families access official information buried in archives for decades. The profits we generate will be reinvested to allow us to help other families in their pursuit of truth. Together, the information we find will benefit them and future generations, for history informs us all. Our vision is of open government and freedom of information for the ultimate benefit of each and every British and Irish citizen. 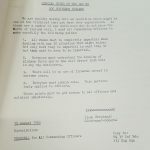 Our mission is to discover and collate historic, conflict-related information which is buried in official archives, and ensure it reaches the families who need it most. 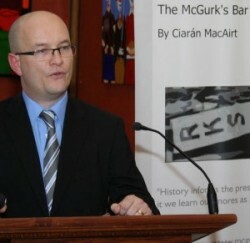 Ciarán MacAirt manages Paper Trail, and works closely with researchers, human rights lawyers and activists across Ireland and Great Britain. Ciarán (right) is a published author and human rights campaigner. He is also a practising associate member of The Academy of Experts. Paper Trail evolved from his forensic research into his own grandmother’s murder during the conflict. Over the past decade, he helped other families access information critical for their own campaigns and human rights cases. 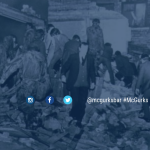 His legacy archive research has featured in headline news, in documentary films, and his highly regarded book, The McGurk’s Bar Bombing. In 2011, he presented his research as evidence to the powerful U.S. Helsinki Commission in Washington D.C. The mechanisms which the state provided for truth recovery have failed most of us. Ordinary families are entitled to information about loved ones they lost during the conflict in Ireland and Great Britain over the last half century. Access to this information is denied to them or it is hidden from them for decades. Paper Trail and our legacy archive research developed from this very human need to know.